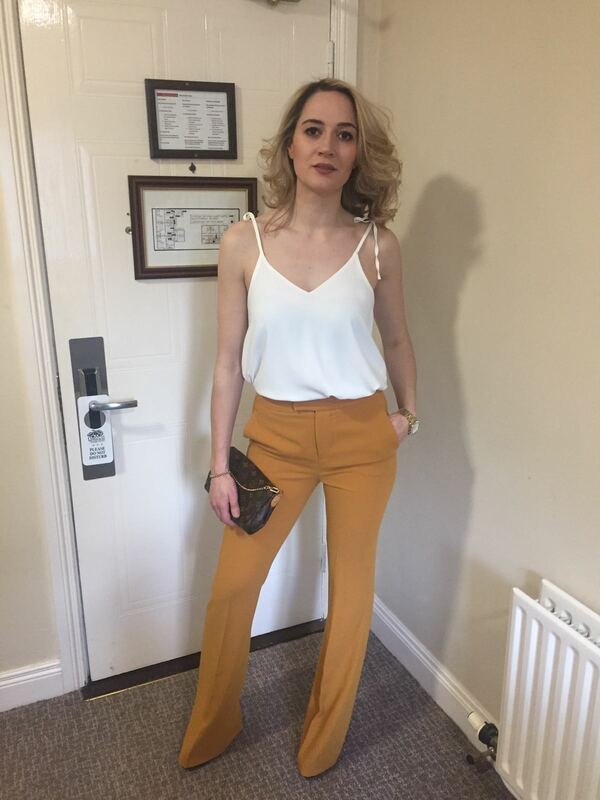 Dunfanaghy fashionista and entrepreneur Laura Doherty shares her style secrets with DonegalWoman.ie! Curating her own vintage store with a diverse range of colours, textures, and cuts; Florrie Jane’s vintage is one of Ireland’s top boutiques. Casual, 90’s sporty, vintage and a little glam at weekends. I don’t really have one as such, I love some 90’s looks by Cindy Crawford, Winona Ryder, or bloggers on Instagram, as for vintage inspo for my store, Kelly Kapowski 90’s fashion is very influential. Right now my pink Zara suit. Quality first, textures, vintage pieces are such good quality, it shows that they have stood the test of time. Quite often something I’ve seen on Instagram or Pinterest. I love vintage leather belts, silk scarves are great for accessorising, you can wear them as belts or tied onto a plain leather bag to jazz it up and simple dainty gold jewellery. Nike 270 trainers, love them! ASOS Marketplace, as a seller there I have a huge interest in sustainable fashion – also Zara, Topshop, Calvin Klein, Ralph Lauren & Tommy Hilfiger, TK Maxx, Urban Outfitters. I buy almost everything online as it’s so simple unless I have time to browse in TK Maxx. Vintage Levi 501 jeans, have them tailored to fit & they will be your favourite jeans for life – so flattering on your booty! Black high waist skinny jeans – slimming & they go with everything! Beige Trench coat, Day or night, come rain or shine, it works everywhere and with everything, you can get some great deals on vintage Burberry trench coats. Wayfarer Sunglasses – I think they suit most face shapes. I’m bad at trends. Just wear what you want and what suits you, can’t go wrong with staple pieces from high street stores worn with a vintage piece to jazz it up. Although I have been doing a lot of Instagram fashion trend research (browsing in bed at night) for an upcoming fashion show my store Florrie Jane’s Vintage is doing with Gok Wan at the Clayton Hotel in Sligo 24th of June. Flats all the way! I love my comfort & trainers, unless they’re a block heel boot for during the day. Heels look better as they elongate your legs but they’re not very practical for day to day wear. Shoes, I can’t stop buying shoes, I’m scared to count how many pairs of Nikes or Black Ankle Boots I currently have! Just because something is in fashion doesn’t necessarily mean it suits you. How would you like to go out and see several other people wearing an outfit you own? If all the clothing stores are selling only what they deem fashionable, we might all be wearing identical clothes, so do try and be different and choose some unique vintage pieces. Donegal people are very fashionable, especially with online shopping & vintage becoming increasingly popular, more people are buying unique pieces, not quite London edgy but still fashionable. There’s a few, Ray Bans my brother bought me in Australia 4 years ago, can’t believe I haven’t lost them! My Louis Vuitton bag which outfits are planned around as I love it. Canada Goose jacket, they’re expensive but considering that it’s been the longest winter ever I haven’t taken it off of me. Probably my mums vintage leather jacket from the 80 which I wore doing a photoshoot interview at Dublin Castle with U Magazine, it was pretty out there! A pair of vintage 501 boyfriend jeans, striped Breton top & Nike trainers or suede block heel boots. There’s been many! Pink tights are up there. Lots of vintage Nike & Adidas dead-stock trainers! Confident, when your bum looks good in Levi jeans, and a casual top.